True red clear color with slight orange undertone. In white bases the color is pastel. Super concentrated. Water, Propylene Glycol, Tetrasodium, Methylparaben, Propylparaben, Red 40. Water, Propylene Glycol, Tetrasodium Methylparaben, Propylparaben, Red 40. COMMENTS: Perfect for scrubs and lotions. True apple color. COMMENTS: This made a gorgeous coral shade for my hand soaps. COMMENTS: Use in some of my bath bombs. Works well, a little goes a long way. COMMENTS: Bought the sampler pack. Plenty of colorant for several small bottles of liquid soap. Gives a nice clear color and does not thin or thicken my liquid soap. Love these colors! COMMENTS: Works great in my clear and shea butter soaps. "Apple Read yummy looking goodness"
COMMENTS: Using this product in combination with another color is a real delight for me. The color comes our even and consistant every time I miss it for the facial wash. I will continue to use and and recommend it to fellow soapers! COMMENTS: This is a good true red product (is somewhat pink unless you use a bit more in white bases like MP soap and bath bomb mix). COMMENTS: These stained glass colors are so beautiful! They have inspired my creativity and today I'm going to try a layered loaf - even though the description says they bleed. That would be my only negative about them. They are so vibrant and fresh....great for my "Spring Fling" collection that I'm making. Thanks for this awesome product!! COMMENTS: I ordered the stained glass colorants sample pack so I have been able to try almost all of the colors available. I am impressed! They are so vibrant and a little goes a long way so they should last awhile. I didn't realize they bleed (they state it clearly in the description - I just missed it) but that's okay, my bad. I definitely recommend trying these for swirl projects! I'm excited to try them in bath bombs next. Beautiful colors for sure! COMMENTS: Loved using this for my mp soaps! COMMENTS: I got the sample kit in these dyes to try some liquid coloring. I like all that I received, they all colored well. This sample kit is great to get started with and it goes a long way. COMMENTS: I love the simplicity of this colorant! Makes a beautiful color! COMMENTS: This color was part of the Pomegranate Geranium Foaming Face Cleanser Kit and I love the color. I was tempted to not add the other red color that came with the kit because I loved the product with this color alone so much. COMMENTS: Loved working with this color! Love the stained glass colors! There perfect! I'll buy again! "Stained Glass Apple Red Liquid Color"
COMMENTS: This is one of my favorite colors. COMMENTS: Love all the stained glass colors! I use these in so many things. COMMENTS: Great to use in shower gel. A little goes a long way. Nice color, too. "Excellent red in bath bombs"
COMMENTS: This color is perfect for bath bombs, it's a nice vibrant red! Great price too! COMMENTS: A great shade of red. COMMENTS: Used in clear M&P for perfect Christmas red. Used in white M&P for a beautiful pink color. Also used in bath Fizzies for pretty pink! • Easy to use in Fizzies. COMMENTS: Good in melt and pour soaps. "Great red for shower gels"
COMMENTS: This is perfect for shower gels. Very true color to the name. COMMENTS: Very nice color that doesn't bleed. Great for Christmas projects. COMMENTS: Nice color to use in hot process. Not as deep as the Santa Red, but more like a Strawberry (if that makes any sense). • Love all the liquid colors in HP. COMMENTS: Disperse well in MP soap. Easy to use. 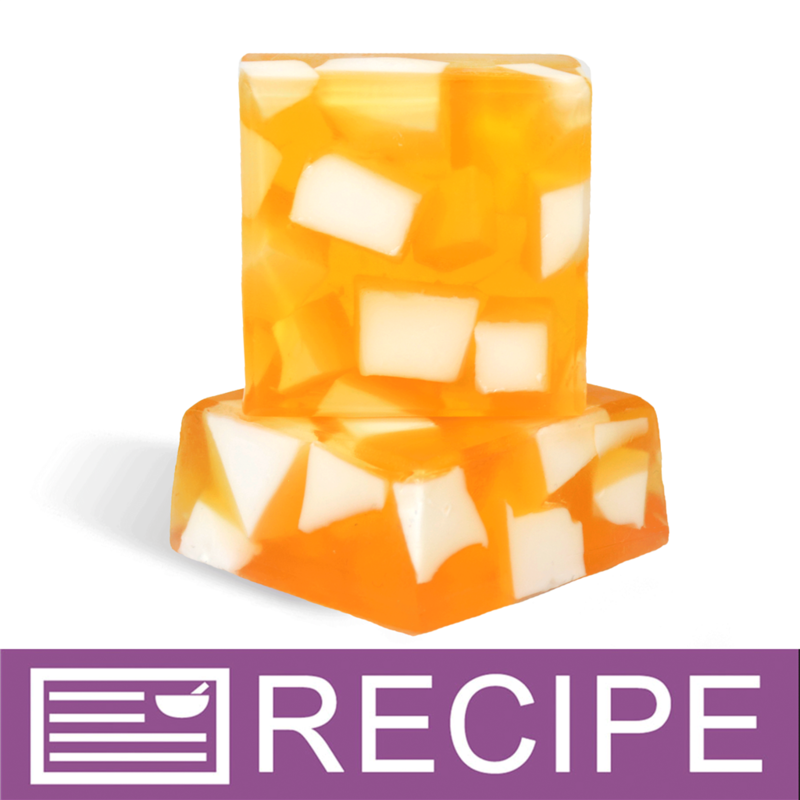 COMMENTS: The color blocks chilled the soap really well only using small slices in each batch. My only regret for using these in my soaps would be that my customers weren't keen on the idea of having sodium larayl solfite in their soaps nor did they care for the dyes such as red #40 or blue etcetera. COMMENTS: apple red has a more orange tint to it than santa, which is more bright red, or strawberry, which is more wine red. Great for purely pink products, or combined with ocean blue for reddish purples; with lemon yellow for citrus oranges; and with other reds to bring a color back from wine to pink. "Amount depends on Depth of Color you Want"
COMMENTS: If you like a light color you do not need much, if you want a darker color you have to use more. I like a lighter color. COMMENTS: Great in Transparent Melt and Pour!! Also going to try it in bath bombs for the Holidays!! COMMENTS: Works great in lotions. Just a couple of drops gives my lotions the subtle tint I was looking for. Also used in bubble bars. Takes a little more, but does beautifully, especially if you add it to your wet ingredients instead of trying to mix it with the bubble bar dough. COMMENTS: It isn't really red, but isn't really orange either. I use this when I want a dark orange color of sugar scrub. COMMENTS: I feel like I can never get it red enough without using more than a whole block. Makes a good pink though. COMMENTS: This will be used for my apple cider soap and again for fruit soap. COMMENTS: I love liquid colors but this one seemed to take A LOT of it to make even a slight pink in white soap base. COMMENTS: I use stained glass liquid colors in lotion and love them! A few drops is all you need.. personally I make 24oz batches at a time and as little as 4 drops can make a great color. This one makes a lovely pink that I use it a lot of my lotions. COMMENTS: More red than I was expecting without having to use a ton of the coloring. Nice. "The best actual red liquid color"
COMMENTS: Of all the liquid "red" dyes, this one is the truest to red. The strawberry red and "Santa" red have pinkish undertones, where this is truly a red by comparison! 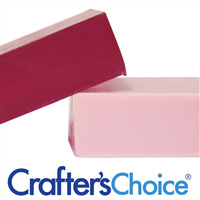 It's one of our most requested colors for custom soaps. "Stained Glass Apple Red Liquid Color - Review"
COMMENTS: Used this colorant for the first time in a cold process, drop swirl, soap. The color was very easy to use, and remained true. I will be reordering, and ordering other colors for future use. Do you have a sample pack that contains all of the colors of the rainbow? Looking for true colors that do not morph. COMMENTS: I used this both in clear mp and goats milk it was more orange than red. COMMENTS: This a a very pretty red... a little softer than Santa Red. Performs very well in MP Soaps. The liquid colors are very easy to use. Some color migration, but really depends on your designs. COMMENTS: I love working with the stain glass colors. This is a true red compared to the strawberry red. Easy to adjust the color. Easy to work with. COMMENTS: WOW...Nice coloring comes through perfect. COMMENTS: Love this it dissolves quickly and mixes well. COMMENTS: I used this with MP and in lotions. On white base the finished product is a light pink which is absolutely beautiful if you are making flowers or a dainty rose color soap. On clear it's bright and distinct. A little goes a long ways so use it sparingly. It's absolutely beautiful and one of my favorites! COMMENTS: I use these colors primarily on my MP projects at holidays. They are easy to use and get the colors just right even when doing some custom blending. COMMENTS: I used this in bath bombs, bubble bars and lotion. I LOVED it on my bubble bar - it came out a bubble-gum pink which was exactly what I was after. No staining on the tub. I liked it in a body butter - I used a small amount, and it came out nicely. I really did not like it in bath bombs - it was just way too faint a color. I'm rating it average based on the bubble bar and lotion experience. If I was rating it for bath bombs, I'd rate it poor. The tip did clog up, and I had to operate on it with a needle to reopen it. COMMENTS: great red dye in scrubs & lotions. COMMENTS: I love using the liquid samples. They are perfect for what I need. COMMENTS: I use this color in both Clear & Goat Milk M&P and the color is perfect! 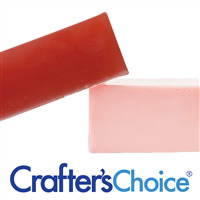 "Very pretty - but more pink than red"
COMMENTS: I find this color is more of a pink than a red color - but it is beautiful and glycerin soaps have a great berry-color to them when this is used. COMMENTS: Using this liquid color will give you a really true red result! Easy to use, I am very please with the results! COMMENTS: And by that I mean how it reacts with all the different DF MP soap bases I use. It's bright and glassy with all of them and comes out a beautiful bright red in the clear base but other bases like Honey, Hemp, and Aloe and Olive which all have their own natural color, change it so that it comes out in various shades of red and orange. It's easy to use, but will migrate if used with other colors. Still though, 5 stars and two thumbs up! COMMENTS: the colors are bright and look like stain glass. 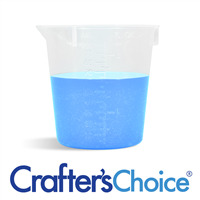 great for rainbow or tie dye soaps. COMMENTS: This is one of the best Red colorings I have found yet for M&P!! COMMENTS: So easy to add and to use. Want a uniform color and voila! "Love these stained glass liquid colors"
COMMENTS: I already had the Santa red color (plus other colors) but needed a different shade of red. This just fit the bill. These liquid colors are so easy to use and blend in so nicely. They are great in shower gels and liquid soap also. Very pleased with this shade. COMMENTS: I love this stained glass color! Its perfect in all of the products that I make. I love using all of the stained glass colors! They perfectly fit my needs. "Works well with Fresh Picked Apple Fo"
COMMENTS: I had never used this before but it was easy and great. 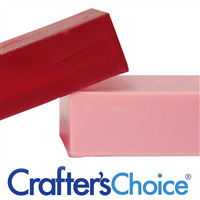 Produced what I was looking for and that was a candy red color for some small sample soaps. Mixed well and overall experience was easy and wonderful results. • Worked great. Wouldn't change anything. 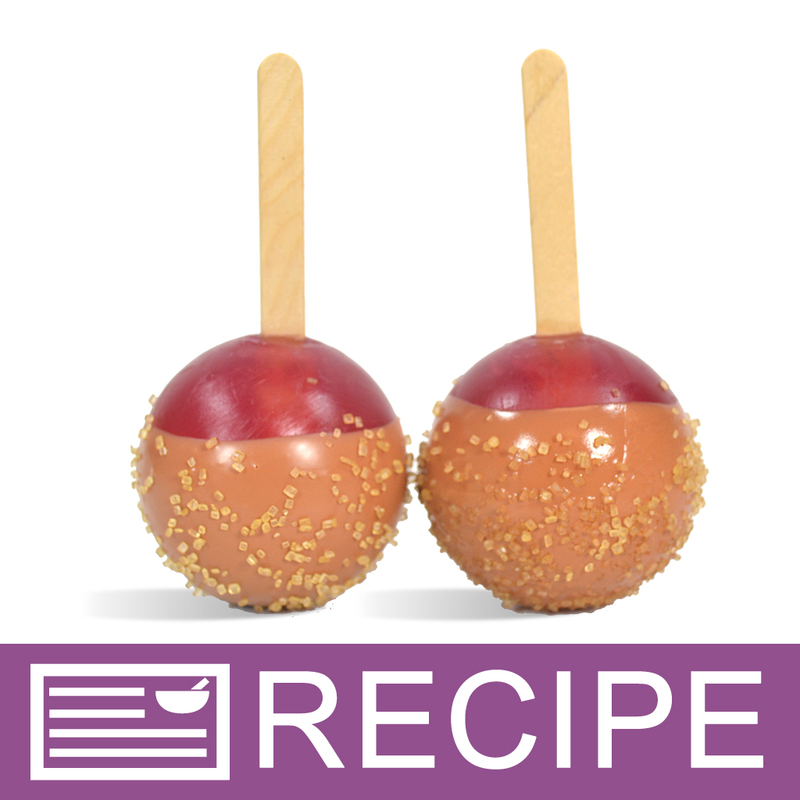 COMMENTS: This produces a beautiful candy apple red color in my soaps. My only complaint is that it bleeds! I wish I could find a red this pretty and clear that does not bleed! COMMENTS: I used this color to make a strawberry & cream soap bar...color was just right for the fragrance !!! 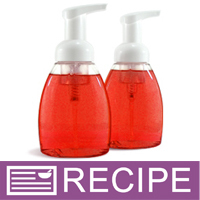 COMMENTS: I used this in my foaming hand soap and it made a lovely rich red! I had to use quite a bit though (a third to half the bottle)! I also think it would make a nice pink if you used a lot less! "makes a lovely pink in foaming bath whip"
COMMENTS: this color was included in the tub paints kit, and its really pretty in white bases. i used 5 drops in approximately 6oz of a white base, and i ended up with a very nice pinkish color. it wasnt pepto bismol pink, more like a strawberry milkshake. i havent tried it out in a clear base yet but i plan to soon. if youre looking to make a pink color, this is the dye you want to try first. COMMENTS: I love these colors, they are true to match and a little goes a long way so it is price effective as well. Along with WSP's UV color protection; these are unstoppable to creating the best colored products EVER! COMMENTS: Used in soap and shower gel with fresh picked apple scent! Yummy! 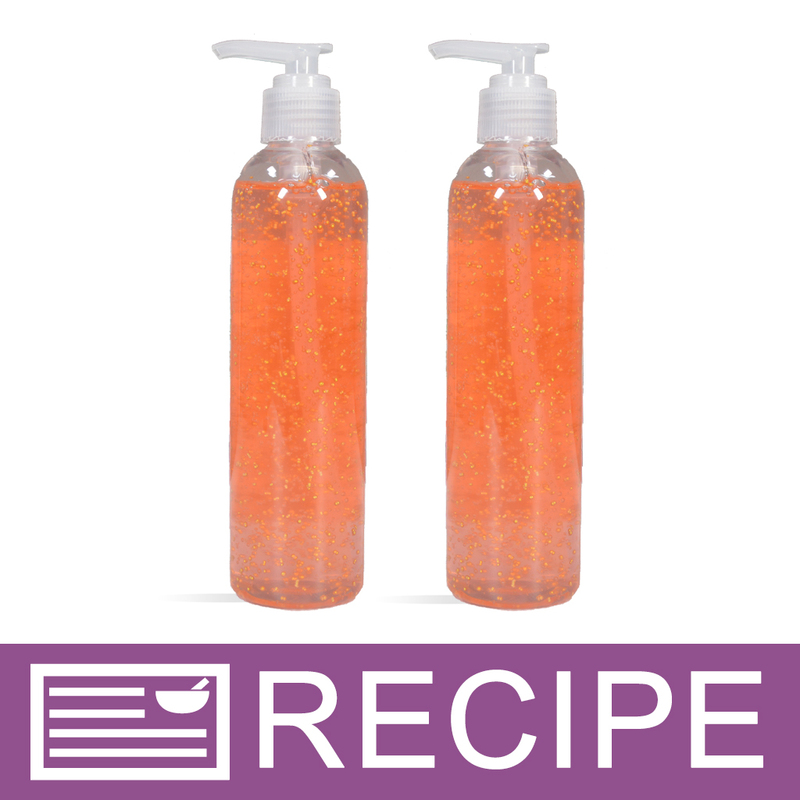 COMMENTS: This color was so bright and vivid in my clear glycerin soap - loved it! COMMENTS: Mixes great with melt and pour. Going to get a bigger bottle next time! COMMENTS: I colored my dead sea salts with this colorant to add to my ultra white MP base, and it gave remarkable results. The color bled slightly into the hot MP but it turned the soaps a lovely color!! My clients love it!! I don't have to do anything special, it works every time!! COMMENTS: I love this color. So bright! COMMENTS: I found this to be exactly the color it shows, a beautiful kind of coral-red. If you are looking for a pure red, Santa Red is the one for you. "Can these liquid colors be used in wax melts? Thanks in advance." Staff Answer The Stained Glass Liquid dyes are water based and will not mix with the wax. You can use mica powders and oxides in wax melts. "Can I Use this for bubble bars.?" Staff Answer Yes, the liquids can be used in bubble bars. "I am looking for a good coloring choice for epoxy, and secondarily which is best for a transparent look, which liquid and powder would be good for this? " Staff Answer We do not know how this would color epoxy as our colors are specifically meant to color soap and bath and body products. The Stained Glass liquid colors are the only ones we offer that are "see-through". "How is this color okay for bath bombs and not required to be batch certified? Are there any FDA requirements to use this colorant in bath Bombs?" Staff Answer If a lake or dye is used as part of a color (such as our liquid stained glass colors) the blend containing the color does not need to be certified. If you use a pure powdered dye or lake in a regulated cosmetic then they need to be batch certified if you sell your products and not make them just for yourself or hobby. So, if using a Stained Glass liquid color, you can sell your bath bombs without having certification. "Do liquid dyes need to be batch certified in order for me to be able to sell my products i use it in? 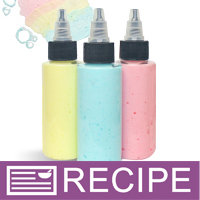 (specifically bath bombs) "
Staff Answer Liquid dyes do not need batch certification. Since the powder dyes are added to a base, they are not required to be certified. "Can your liquid colorants be used for candle wax dying?" Staff Answer We do not carry any candle approved colorants. "I want a red color like in the picture. How many pounds of soap will a 2 oz. bottle of red color make?" Staff Answer It should color approximately 24 lbs. of soap. (Depending on the desired shade). "Will it stain the tub when used in bath fizzies? I don't care if it changes water color, that'd be kind of neat actually, but will it stain the tub?" Staff Answer This color will not stain the bath tub. If your bath fizzie has any butter in it it may create a ring in the tub that can easily be washed off. "I am new at this - Is liquid better than powder to use?" It depends on the products that you're creating. 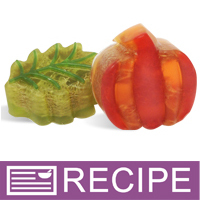 For instance, these are so easy to use and make amazing color in melt and pour soap, but doesn't work well with cold process soap. For this, it depends on what you are using it for. 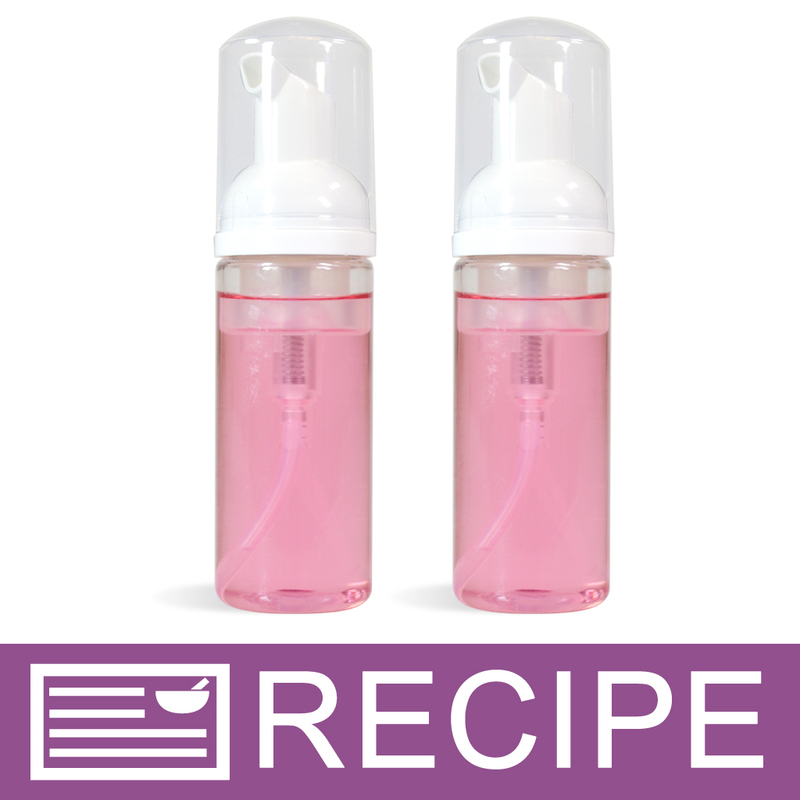 For liquid soaps, shower gels, etc it might be easier for you to use a liquid color. 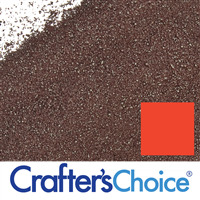 Other times, like in melt and pour soap, you might prefer using powder colorants such as micas so you can get the sparkles in the soap that the mica provides. "I am making lotion. Do I need to list all of the ingredients in the stained glass liquid color in my lotion ingredients? And where would I list them? Thank you in advance." Staff Answer Yes, all of the ingredients in the colorant should be listed on your label. You may list the ingredients at the end of your list. "Can liquid dye for lotion be used to color/ dye candles?" I would not recommend using liquid dye (deemed for bath/body care) to dye candles. I would recommend dye chips or specifically modified candle dye. "What is the recommended amount of liquid dye that should be used in lotions?" 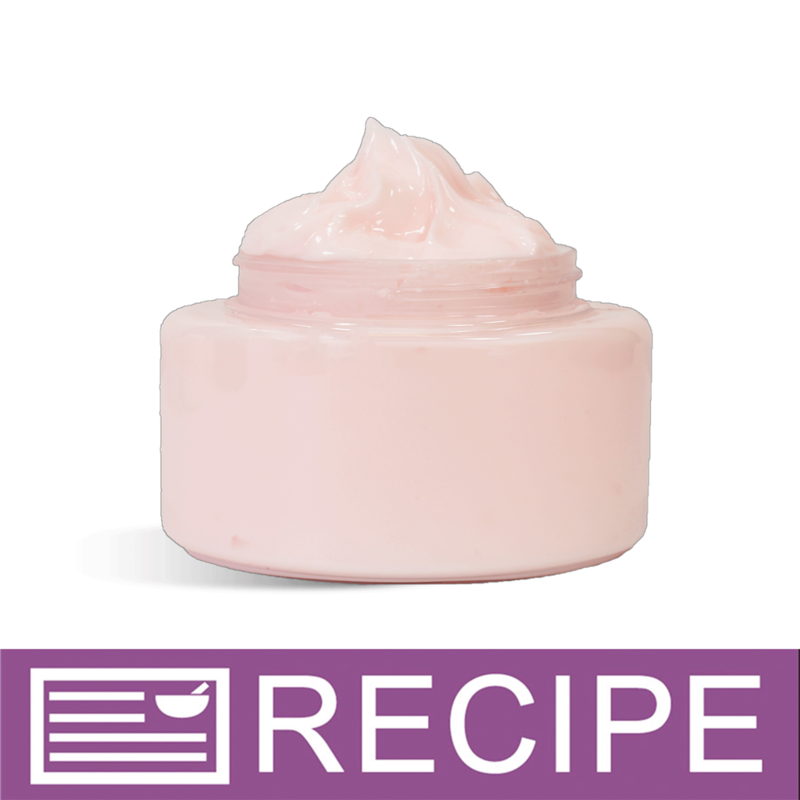 Just a few drops (3-4) will give a pastel tint to 16 ounces of lotion - well within the safe guidelines. You just want to use caution with dyes in lotions, as they can discolor sensitive and delicate fabrics. WSP has the best liquid colorants. Start out with a small amount and gradually add more for a deeper color. Don't forget, the're easy to combine for custom colors. You've used too much if lotion no longer appears white as it's glided onto skin.